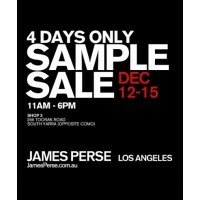 Grab yourself a fabulous James Perse bargain. 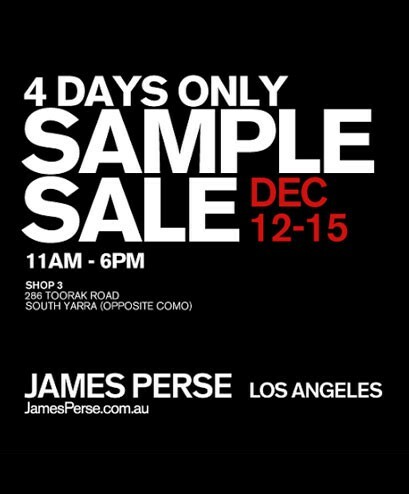 James Perse is hav­ing a first ever sam­ple sale in South Yarra... and Missy gals are invited. From the 12th to the 15th of Dec this laid-back, beach luxe, LA brand is offering great basics includ­ing wom­enswear, menswear, gym gear and pjs — up to 80 per cent off. Find simple, solid and super-soft body hugging T-shirts and trackies through to tops, hoodies dresses and more.